I didn’t plan to go to Italy again. 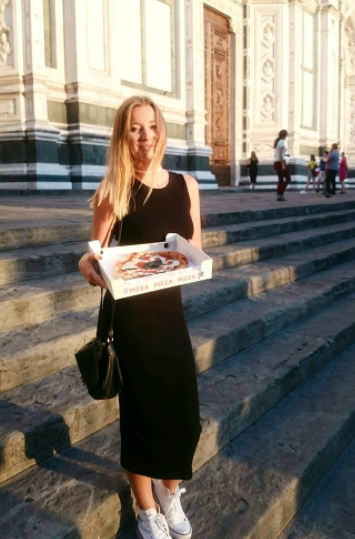 I have to admit that I missed it a lot (and this pizza too!) but there’s a whole plenty of other countries that I’ve never been to and dream to visit. That’s why my February was the month of May-weekend cheap flights seeking. I was dreaming of Portugal but well… Italy thwarted it all! One morning, I have found a cheap flight to Lamezia Terme. To be honest, I wasn’t sure where this place is exactly located… Lamezia Terme – where the hell it is? I’ve checked on the map. Calabria – one of the regions I’ve never been to. After a short research I’ve found out that it’s a good idea to visit Tropea first. I decided to google it. 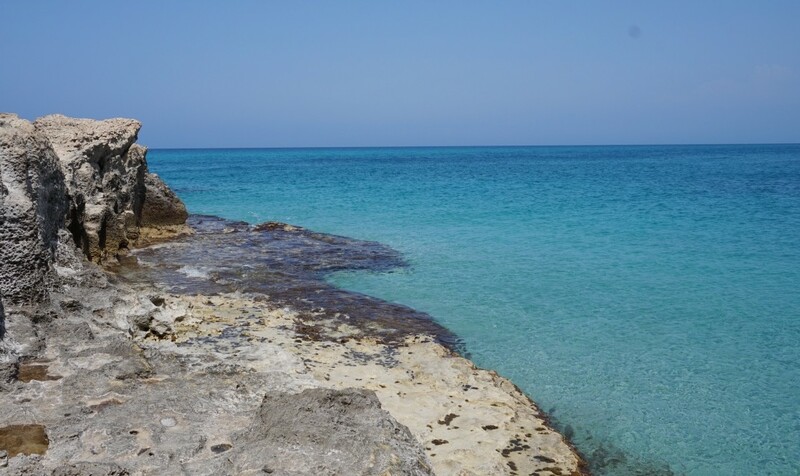 It prostrated me… Crystal clear water, breathtaking hills, magical prickly pears… Is it a paradise already? 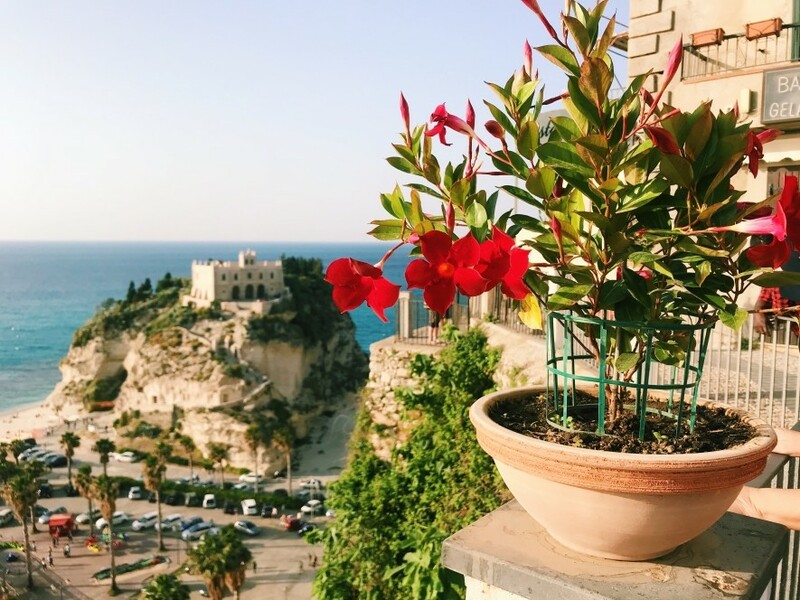 What stands out in Tropea is its location – is it located on a steep and rocky cliff. The way it is situated makes tourists fall in love with it. Romantic sunsets make this place even more unique and fascinating, presenting an amazing view on beautiful sandy beaches and turquoise water. What strikes here the most is nature – nature that is present basically everywhere. Just take a look – sea and mountains connected together. 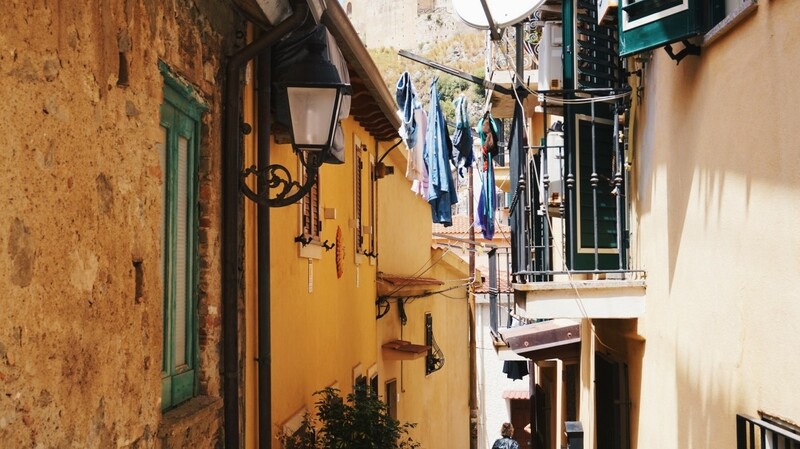 Tropea is a small city – it will help you explore it even faster. Next to the hill near the beach, there is one of the most characteristic city locations – Santa Maria Dell’lsola – the Church on the Island. In the city centre, life goes on slowly and peacefully. If you wondering where to eat some good pizza, click here. 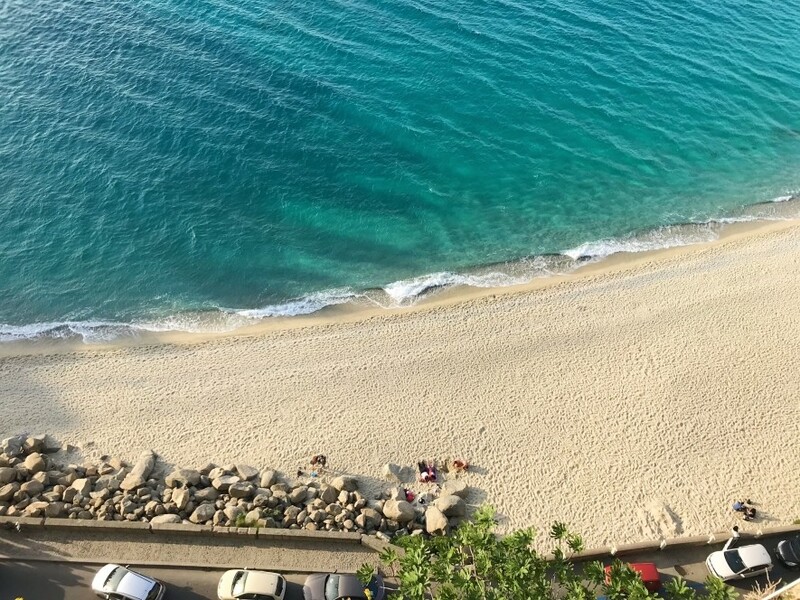 You’ll need one or two days to get to know Tropea as best as possible. This will be the right time to visit nearby towns. 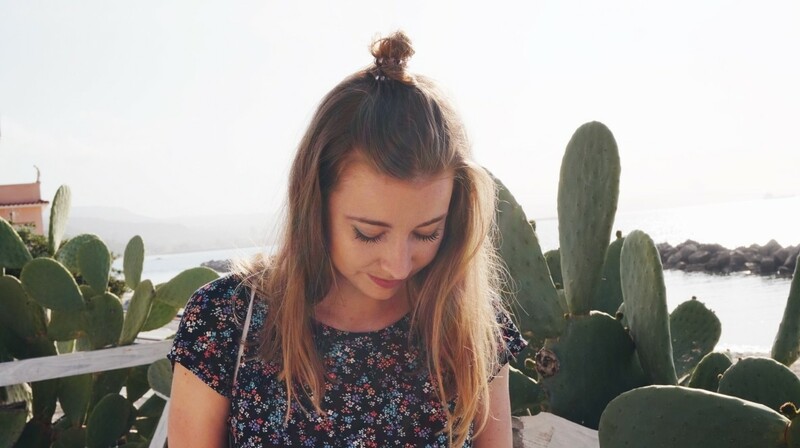 Prickly pears, lizards, breathtaking views. Sounds interesting, doesn’t it? 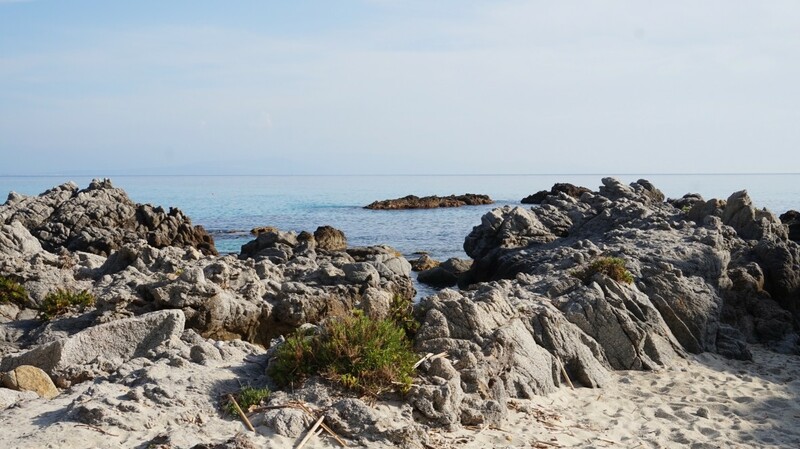 This is exactly how the walking trail from Tropea to Capo Vaticano looks like. However, I don’t recommend taking it by foot – it’s a 10 km path, without roadsides, full of sharp turns and killer Calabrian sun. After walking 5 km we were totally exhausted and I started feeling dizzy. Deciding on hitchhiking for the first time in our life, we were longing for an air conditioned car. Unluckily no one wanted to help us. After half an hour, some Polish couple stopped and gave us a ride. Moreover, we spent the rest of our stay with them – we became good friends! 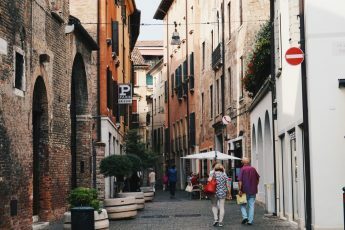 Personally, I don’t recommend such adventures – just rent a car or take a train to Ricadi which is located 2 km from Grotticelle. 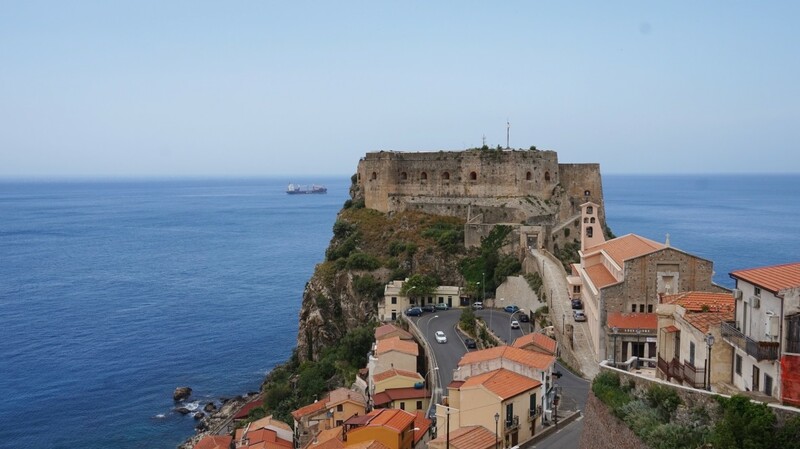 If you dream of taking a look at Sicily or a charming castle situated on a rocky hill, you have to visit Scilla. This is a picturesque little town that preaches the meaning of a peaceful life. You’ll get there via train (change in Rosarno) and the journey will last approximately 80 min. You must be aware of the fact that pizza is not my one and only love. 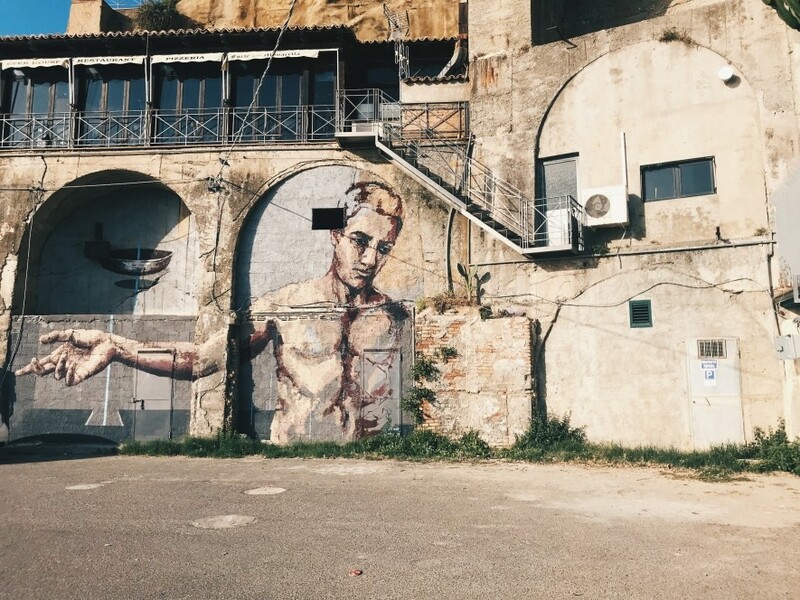 I gave my heart to the street-art and if you fancy it as much as I do, Pizza Calabro will astonish you. What is more, the train path is located by the seaside so the views are simply amazing! The journey from Tropei will last around half an hour. Remember to check the time of your way back home as you might be having some problems with catching the last train. 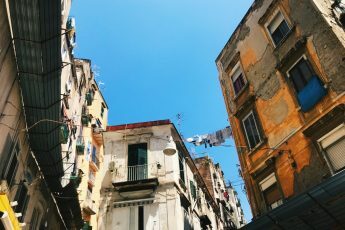 WHAT DO YOU NEED TO KNOW ABOUT CALABRIA? 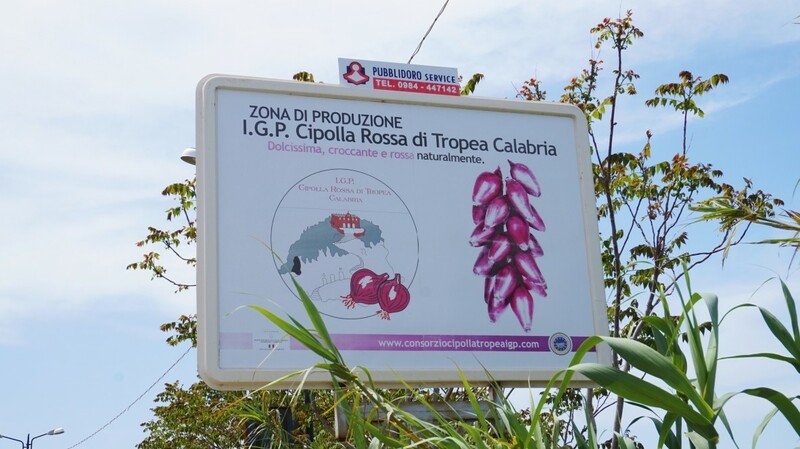 Visiting Tropea, you have to taste their local pride – the red onion. You might be finding it basically everywhere. They grow it at every corner and this vegetable might become a great gift idea instead of buying another fridge magnet. Sounds crazy? Read more. Do you know that there is an ice cream parlour in Tropea that serves red onion flavoured ice creams? Despite being an onion-lover, I didn’t like the taste of them. But, who knows… Maybe you’ll love it. I strongly recommend having a taste of it as it is probably the only place in the world where you can try something as crazy as that. As I have already written, Nduja is a symbol of Calabria. If you see a calabrian pizza in a restaurant’s menu, you might be 90% sure it will include spicy nduja. It is really tasty and soft which makes it possible to schmear it on the pizza! Do you enjoy this beautiful plant as much as I do? If so, Calabria will make you fall in love with it. 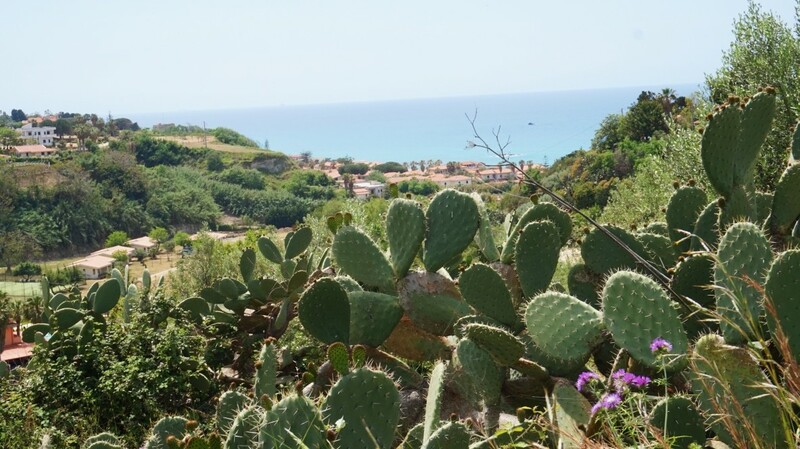 In this land, instead of having some ordinary bushes, there are hundreds of prickly pears. 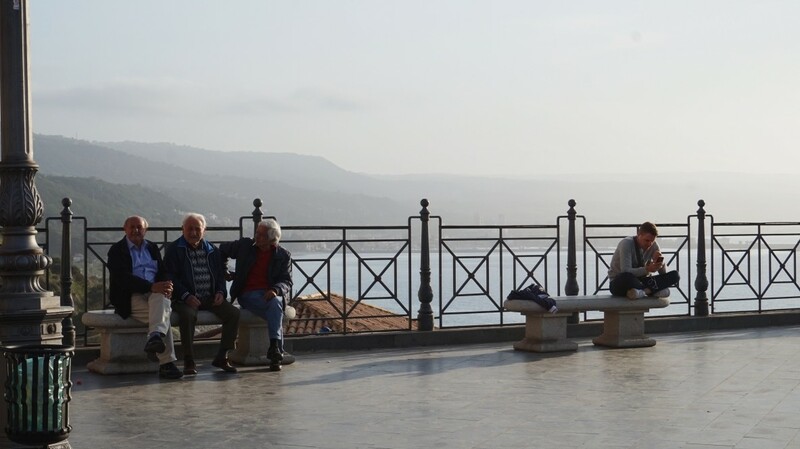 Resting nonni, meaning grandfathers, are a very common view in Calabria and in Southern Italy. What do I mean by that? Elderly men gather together to rest and chat about some regular stuff. Sometimes they simply chill out, play cards or talk. 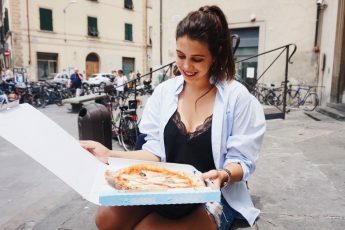 I guess that our rushed generation might learn something valuable from them – for example, what “dolce far niente” means – sweet resting and carpe diem. 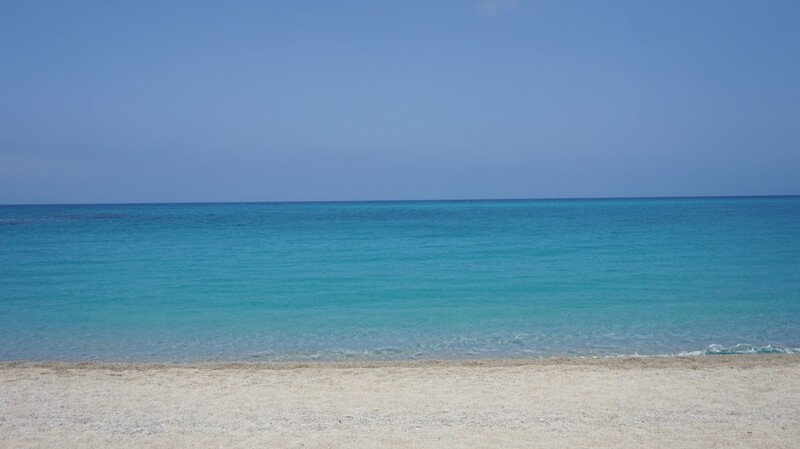 HOW TO GET TO TROPEA? Find a flight to Lamezia Terme. I used Ryanair airline and departured from Cracow. Later, after arriving to Lamezia Terme, take a shuttle bus (1,5 Euro) to the Main Train Station (the ride will last around 10 min). Then take a train to Tropea. The timetable you’ll find at trenitalia.com. Tropea is not a big city and getting to the city centre by foot will take around 10-15 minutes. 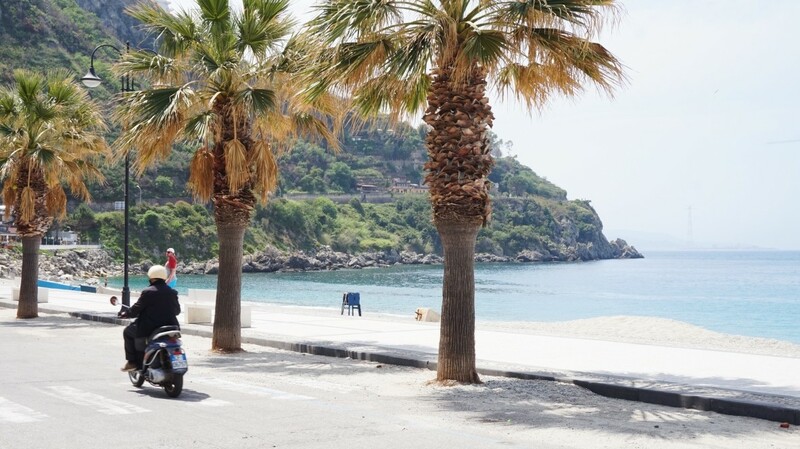 However, if you would like to see something more than just Tropea, just rent a car! This is more convenient than taking a train do Calabria. There are not so many train departures and the timetable is not functional so it will be harder to plan some longer trip. 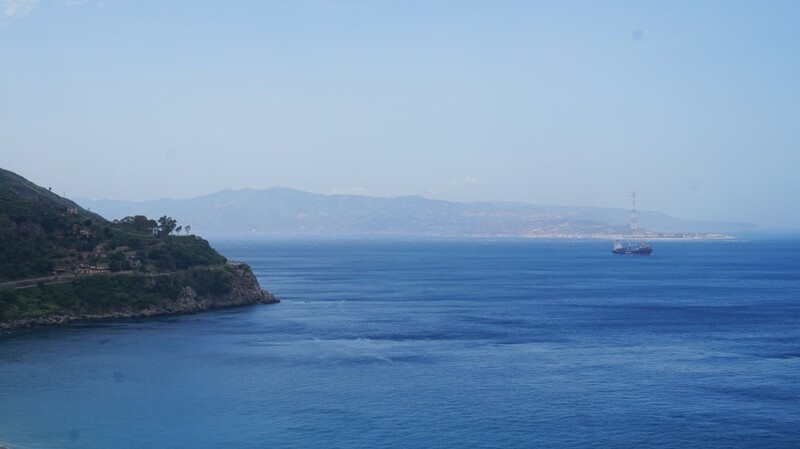 If it wasn’t for us hitchhiking we wouldn’t probably get to Capo Vaticano nor Scilla. Moreover, if you’re having your flight at 8:40 a.m. from Lamezia Terme you’re only chance to reach your destination is to take a cab (90 Euro “only”!) or to risk missing your flight and getting there via train. 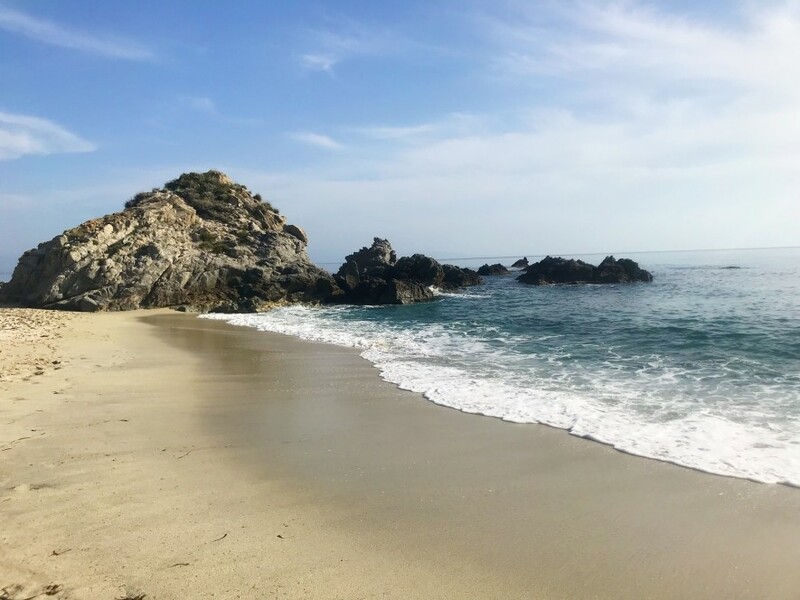 I don’t recommend it – just rent a car and you’ll travel fully relaxed. We’ve slept in La Perla Hotel which is located 5 minutes from the city centre. We paid around 530zł for 4 nights, including breakfasts. The Hotel is 3 stars and its location is simply amazing (you might see the sea from your window! ), beds are comfy and the food is great. 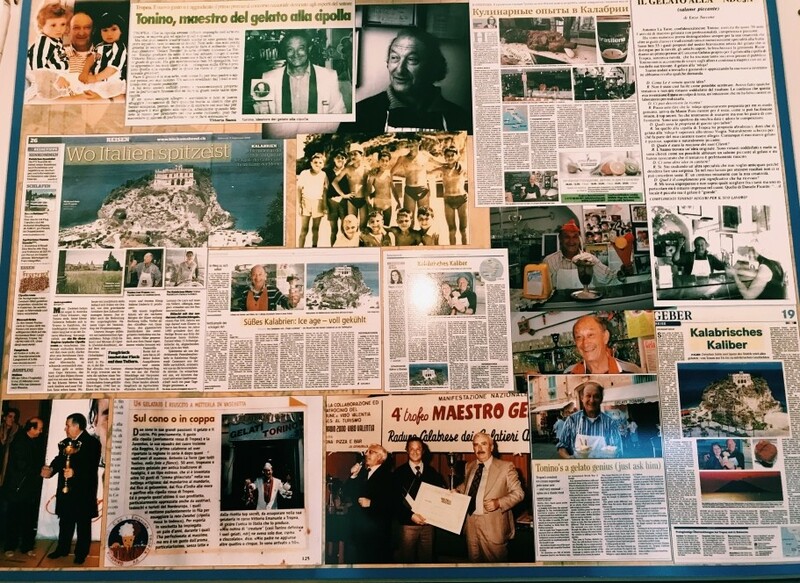 Where to eat best pizza in Tropea?